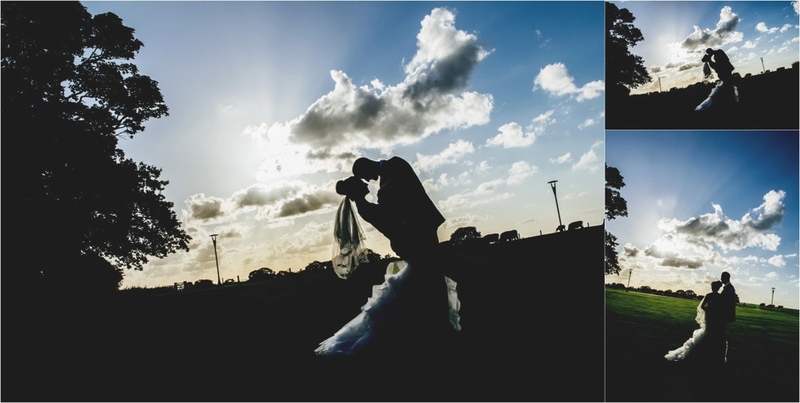 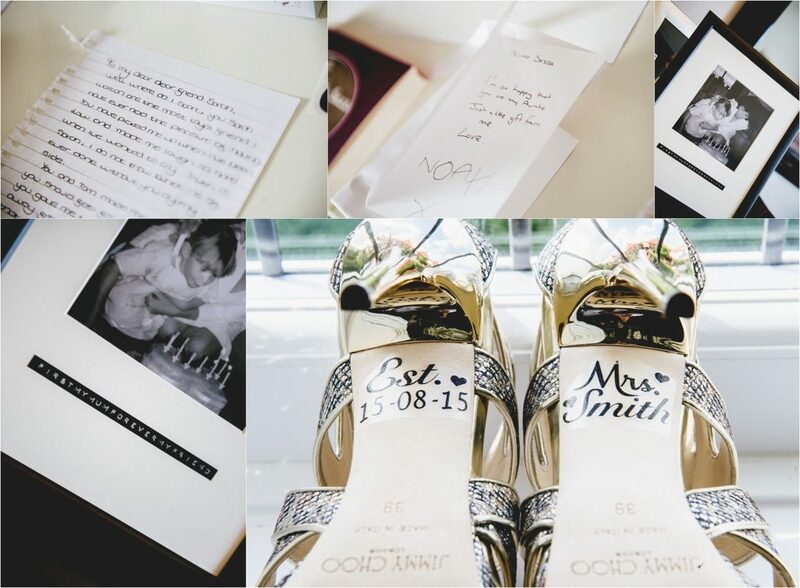 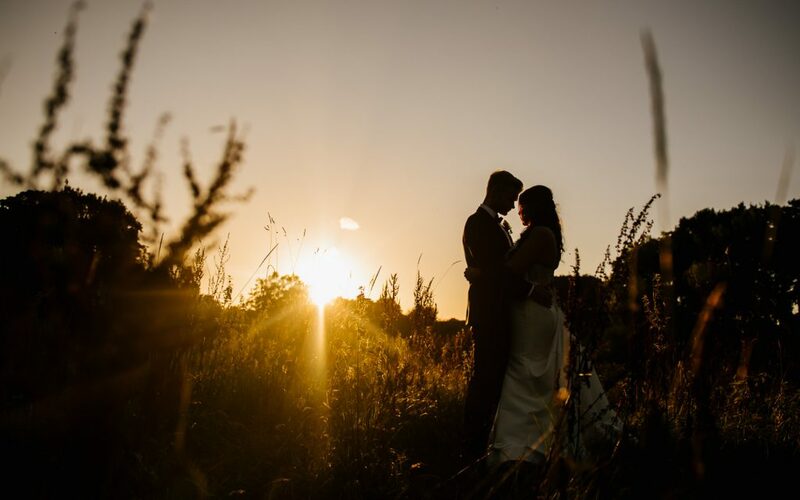 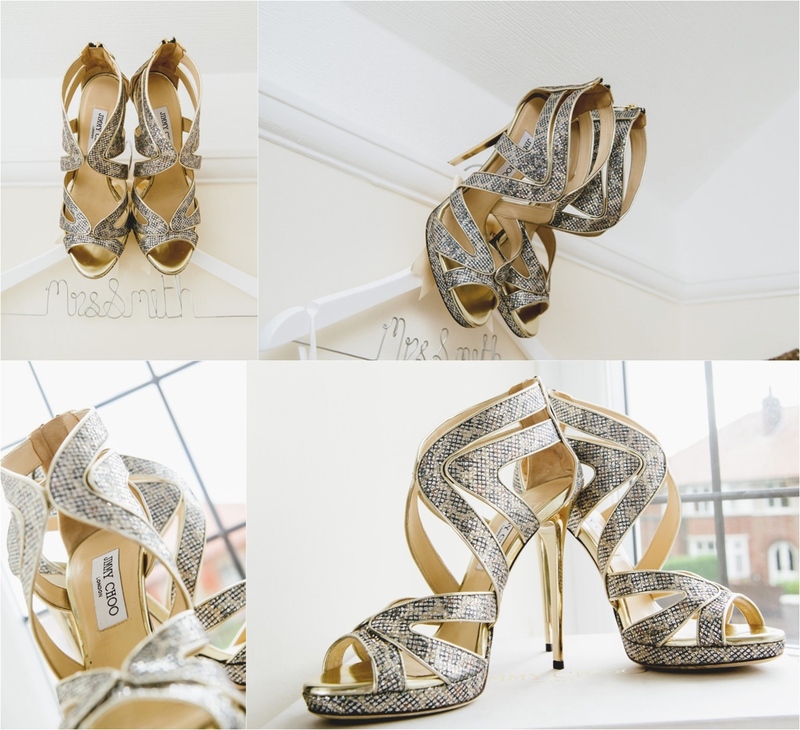 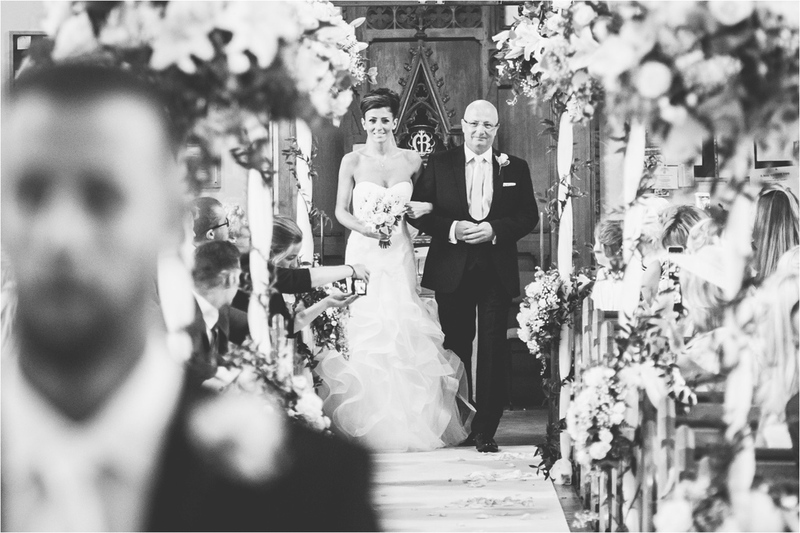 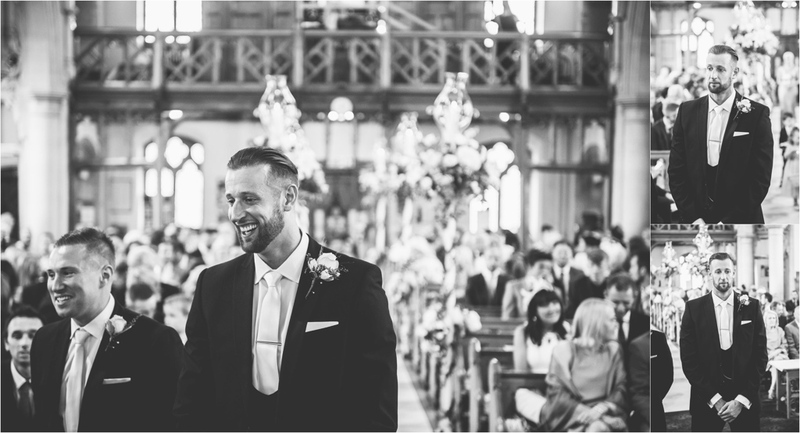 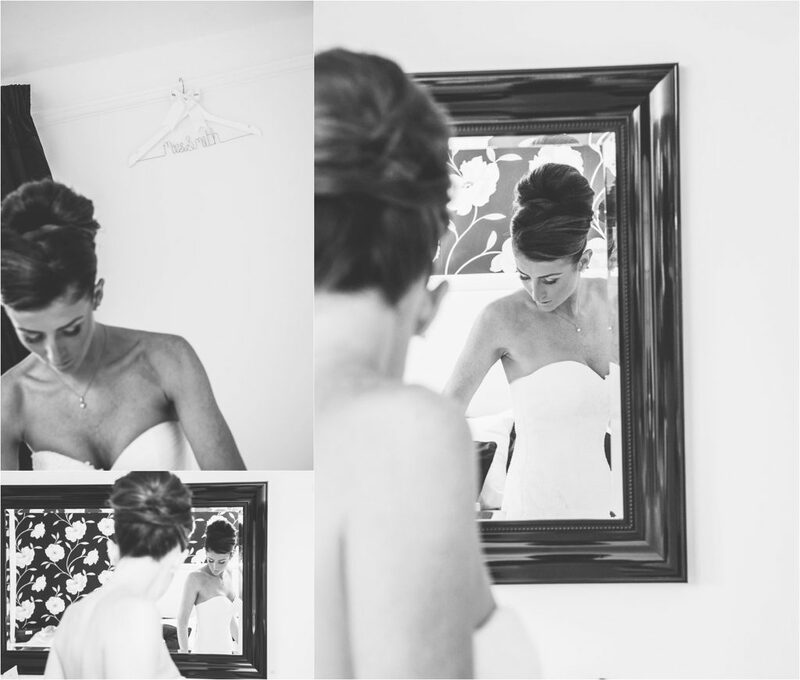 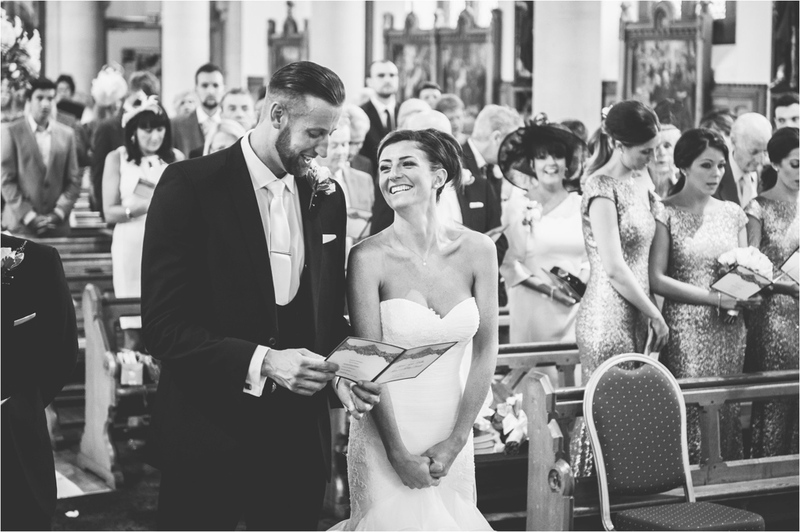 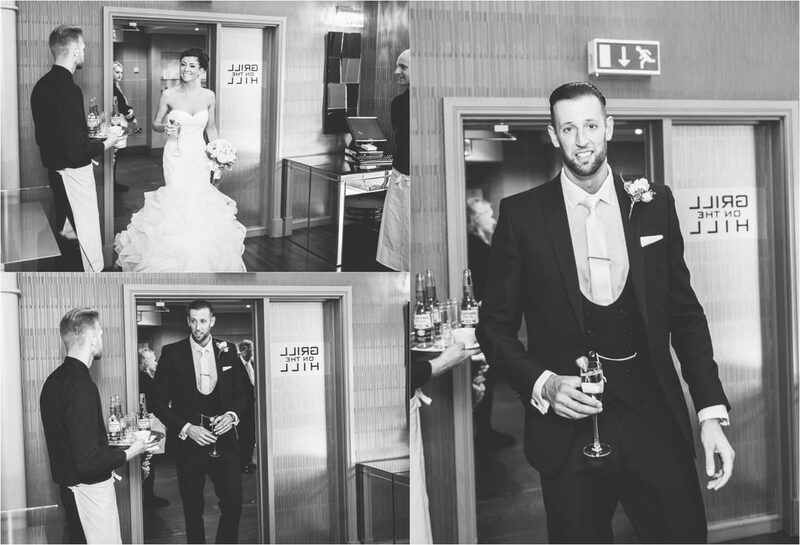 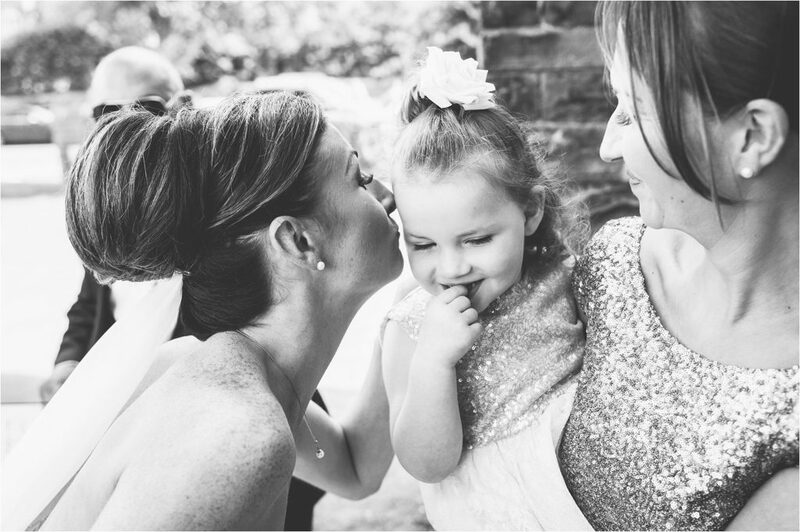 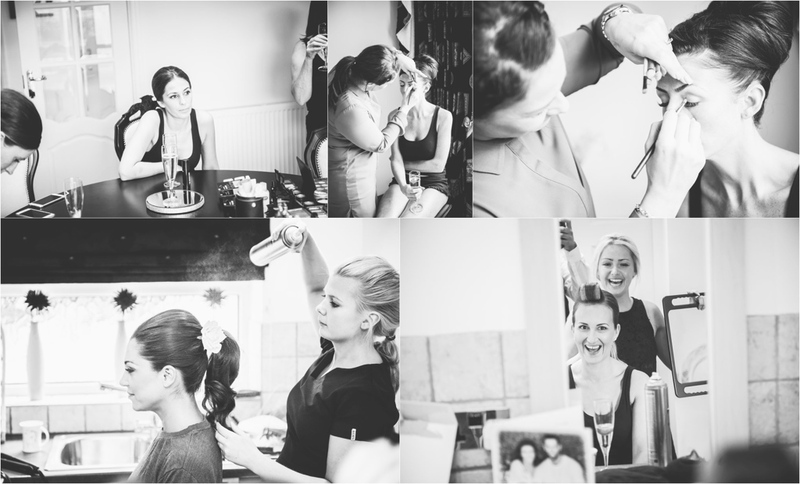 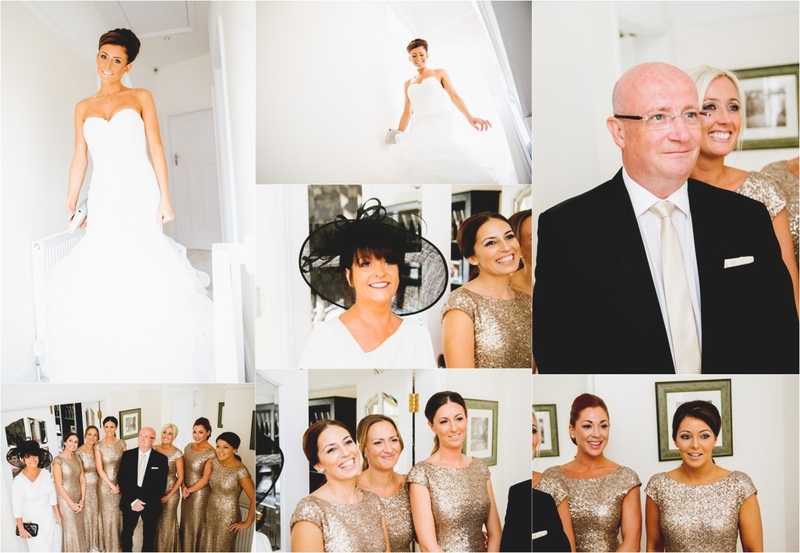 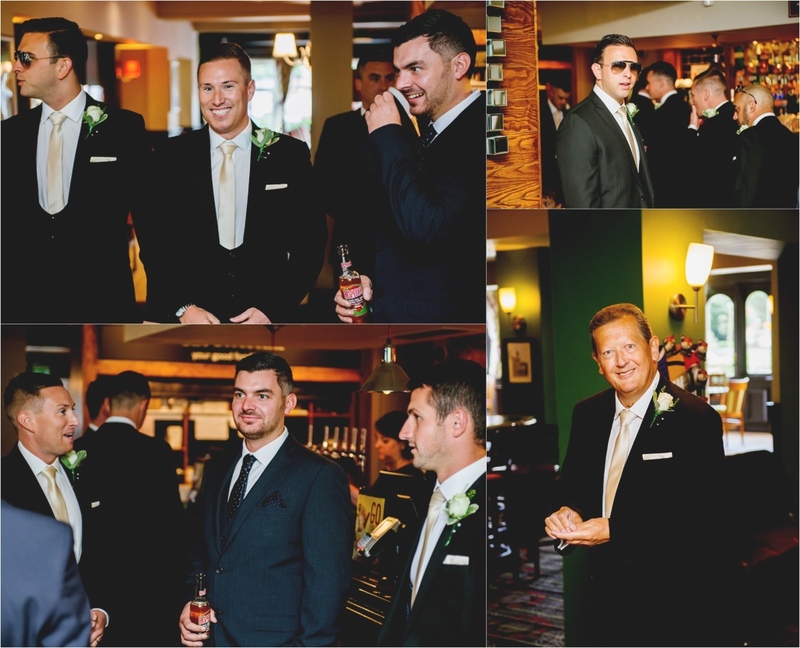 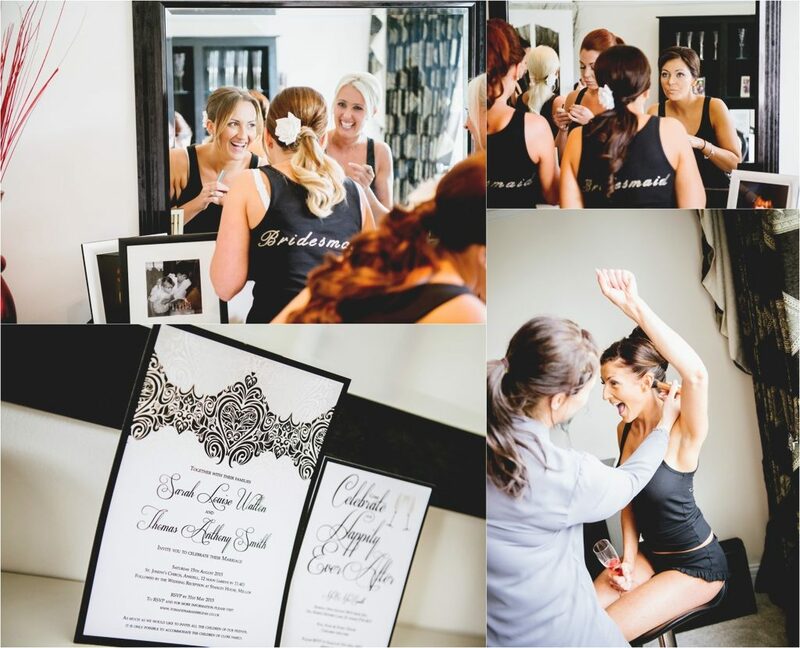 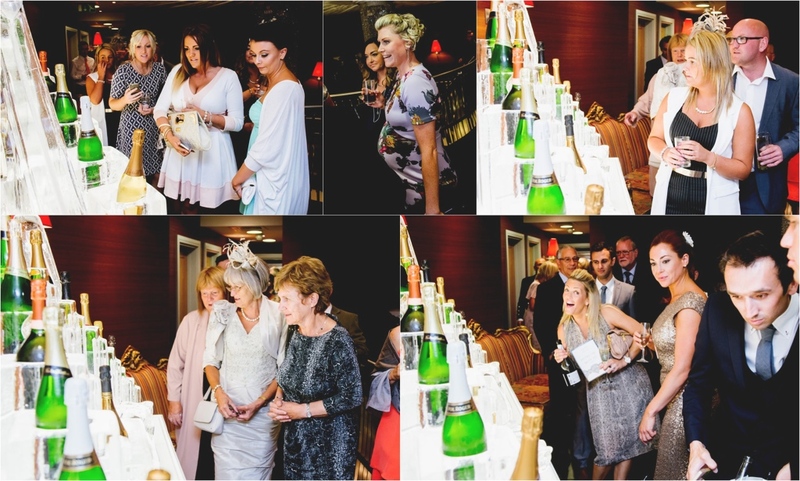 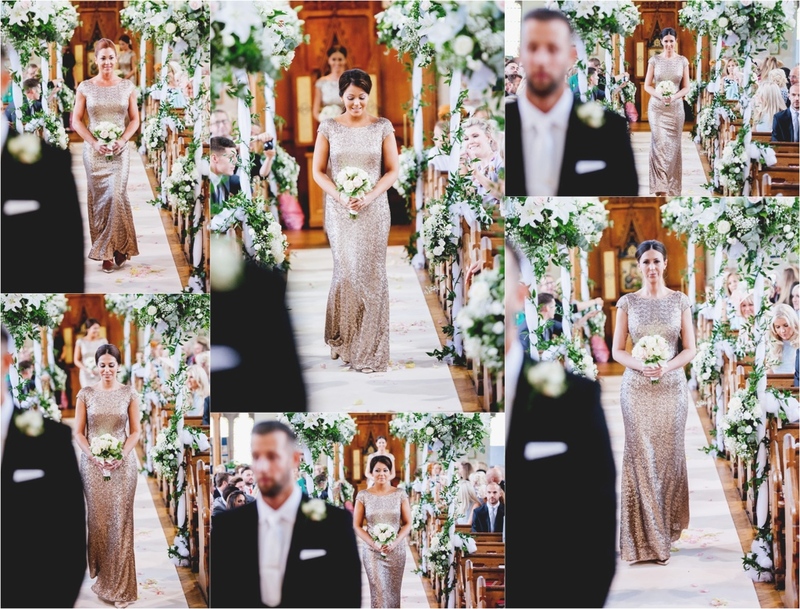 Stanley House Wedding Photography// Well WOW – Sarah & Tom, where to start with this one…!! 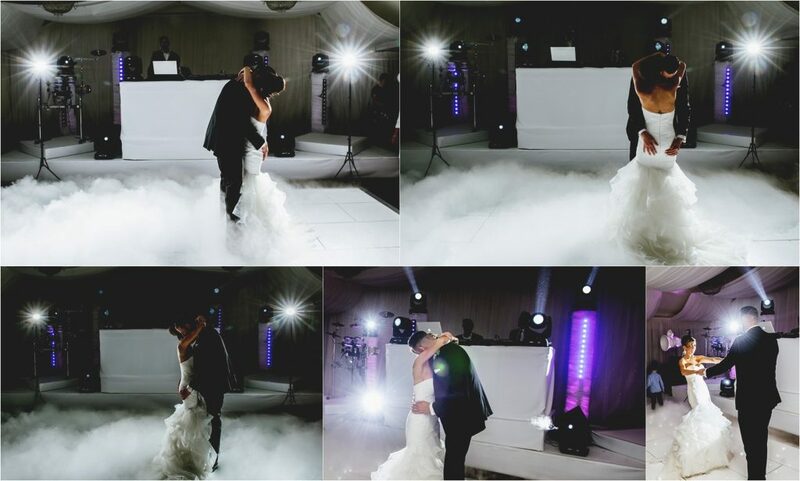 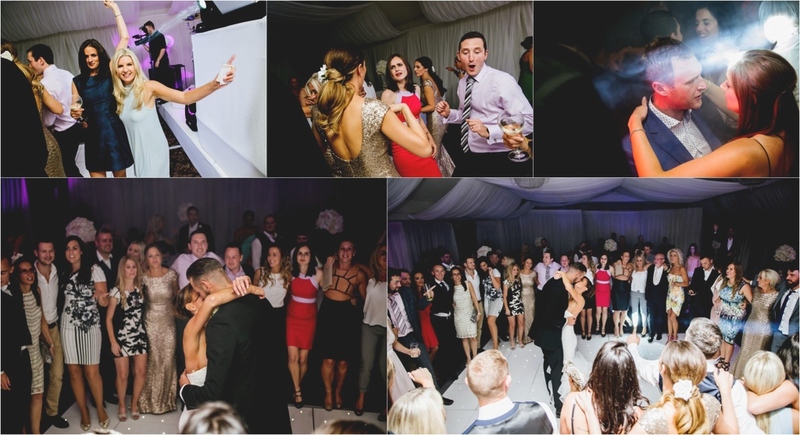 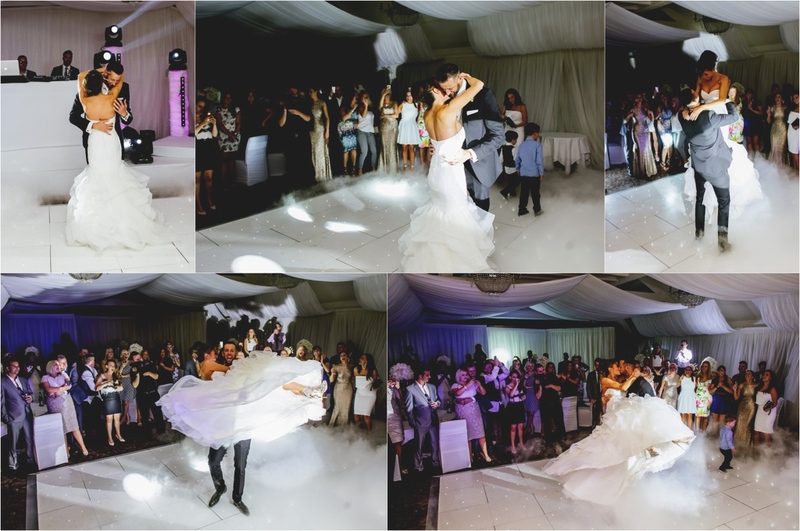 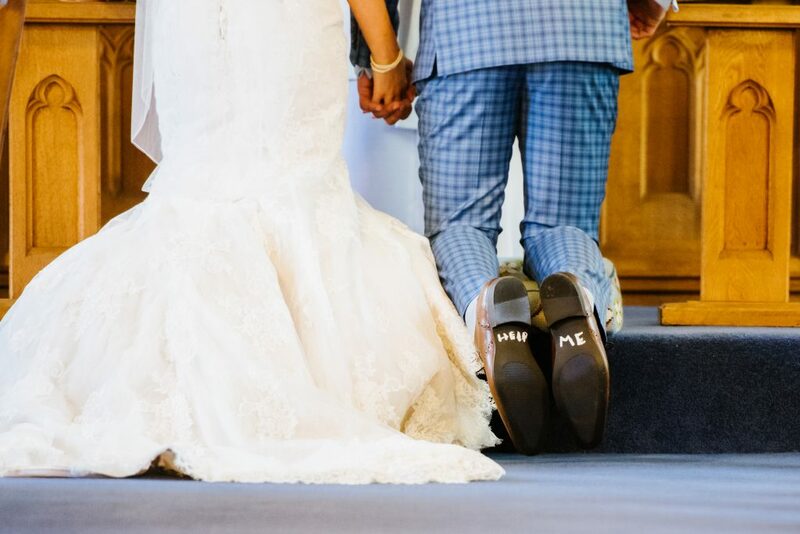 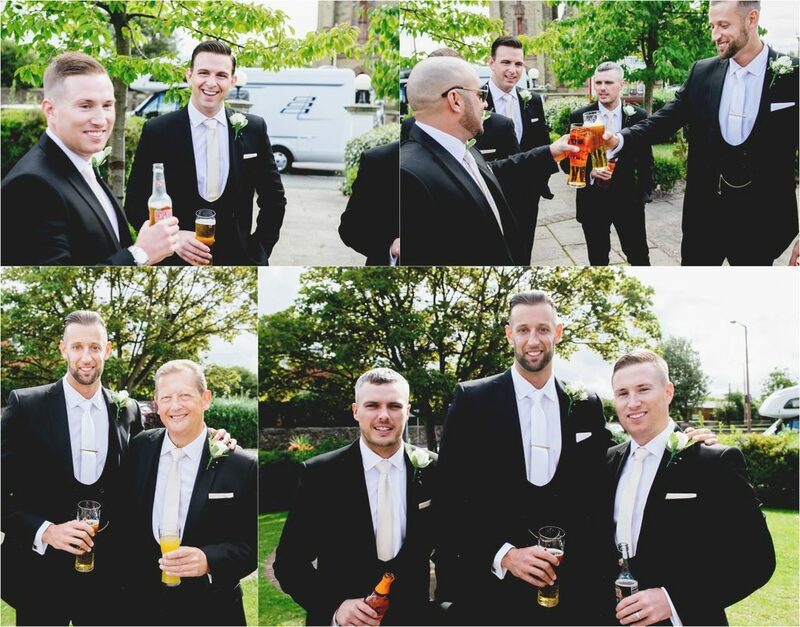 This awesome pair wanted their day to be remember as one hell of a party & boy was it! 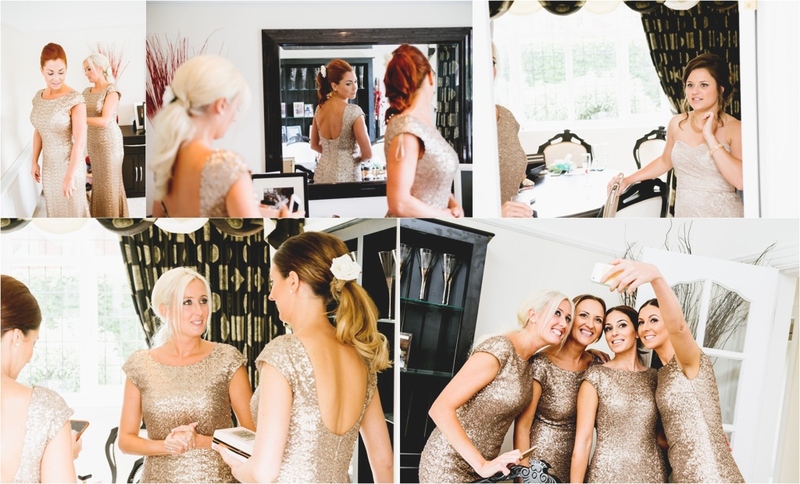 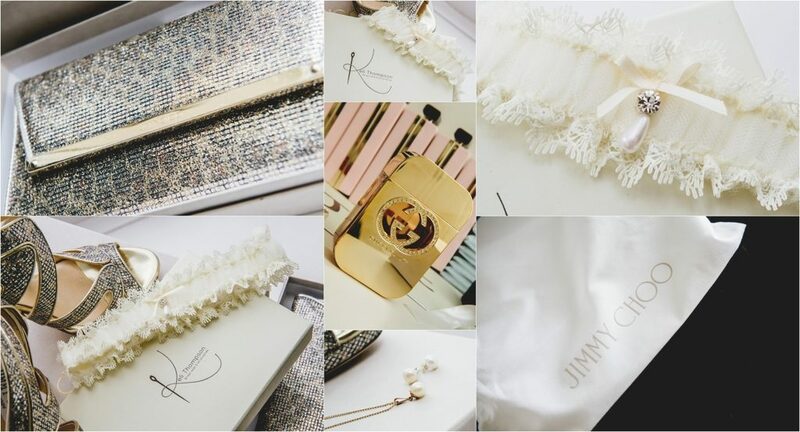 The girls began their day with hair & make up by the awesome team of Mazzola Hair & KatieBee Makeup Artist with Sarah looking phenomenal in her dress by designer San Patrick Barcelona, jaw dropping JIMMY CHOO‘s & beautiful handmade accessories from my talented friend Keli Thompson. 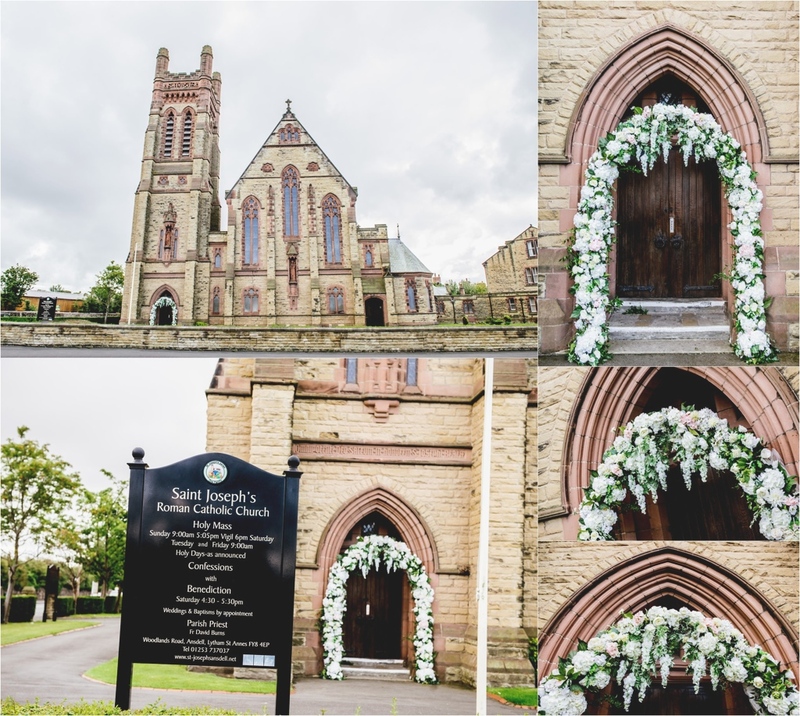 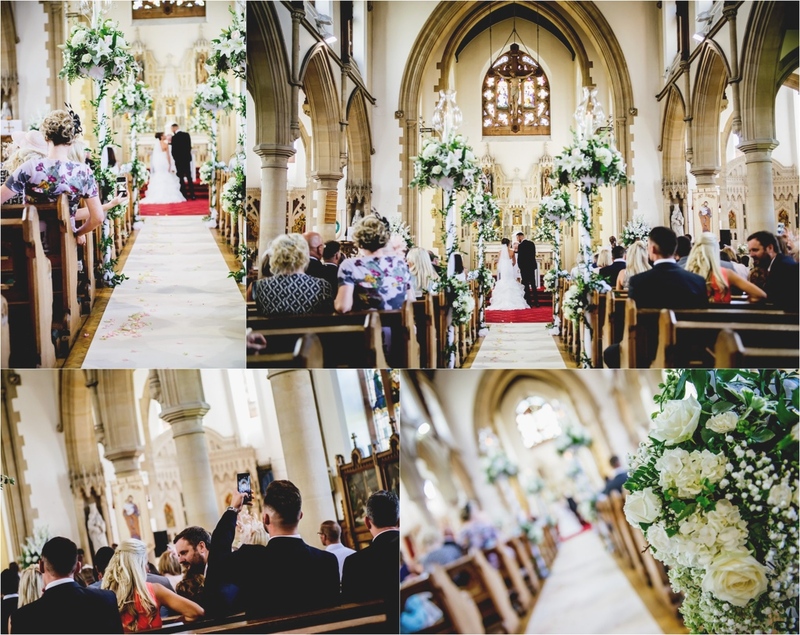 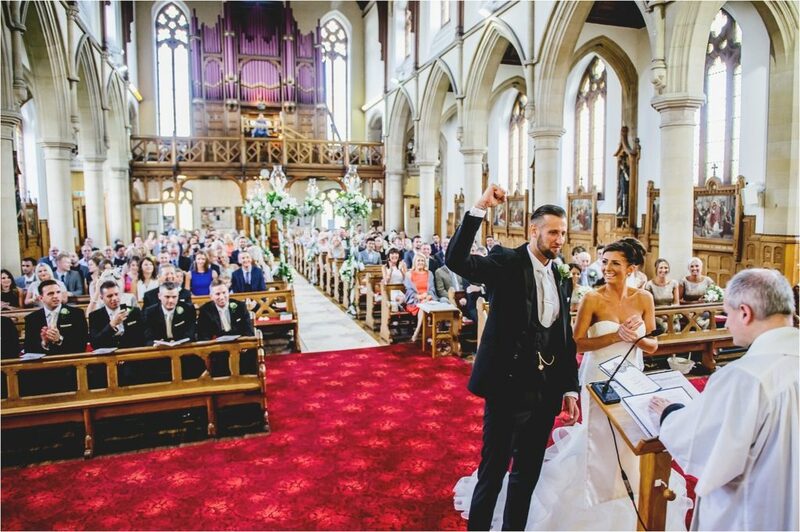 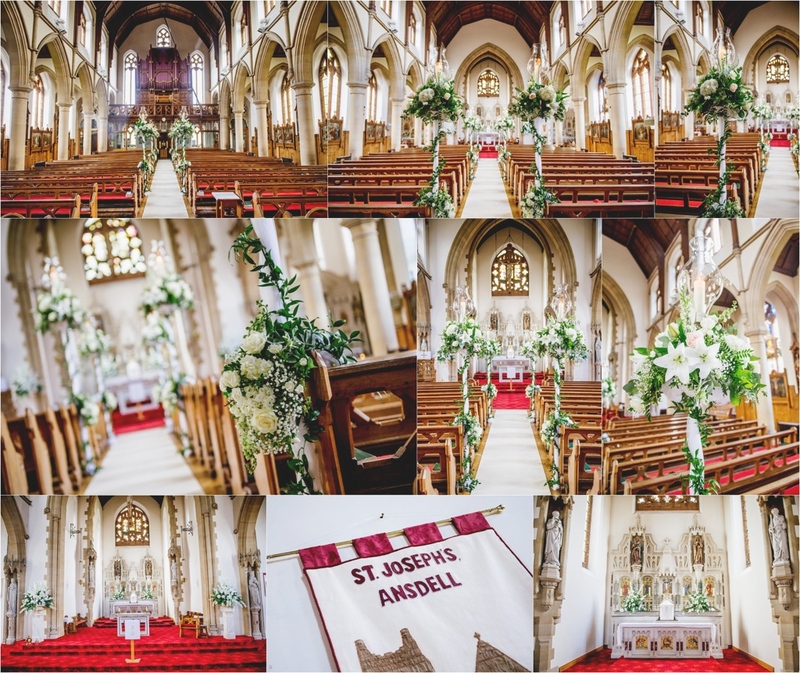 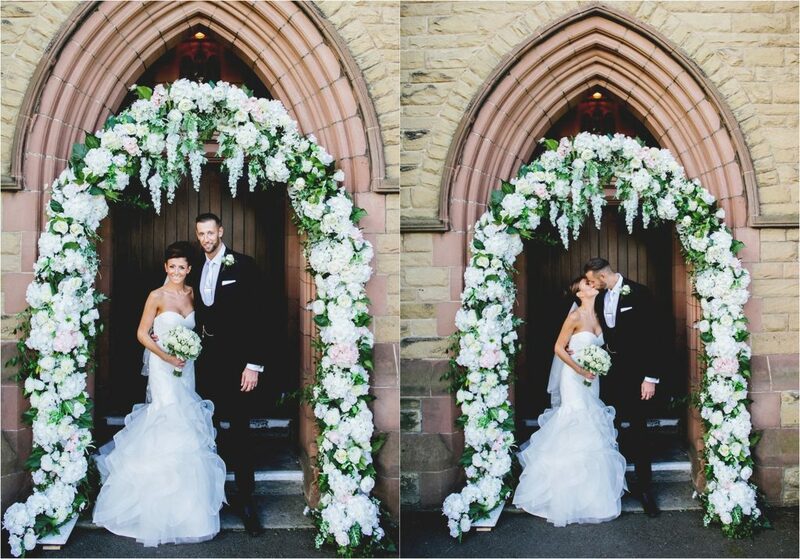 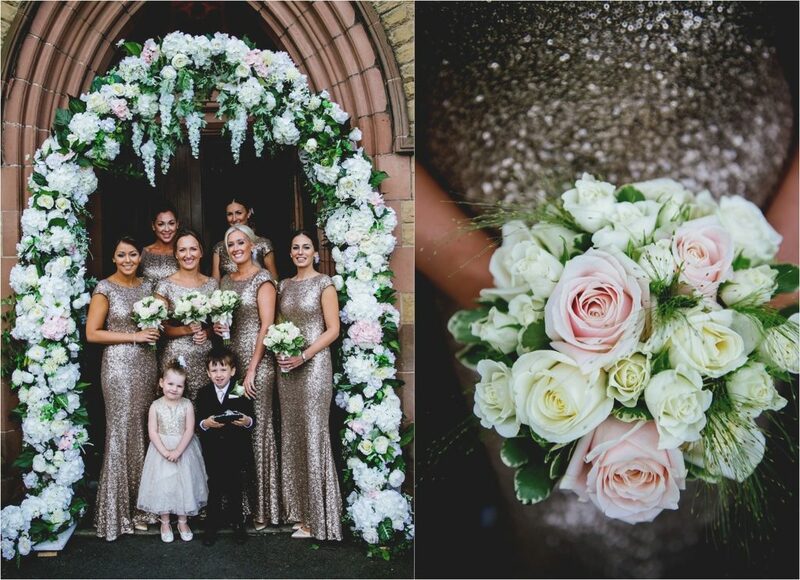 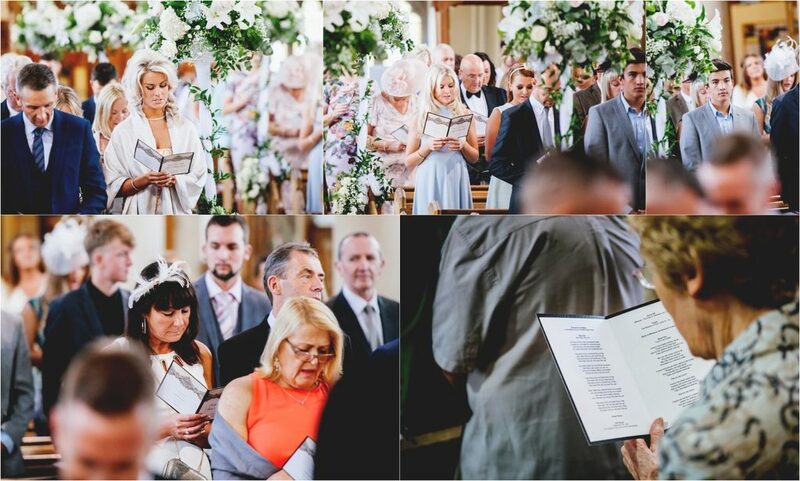 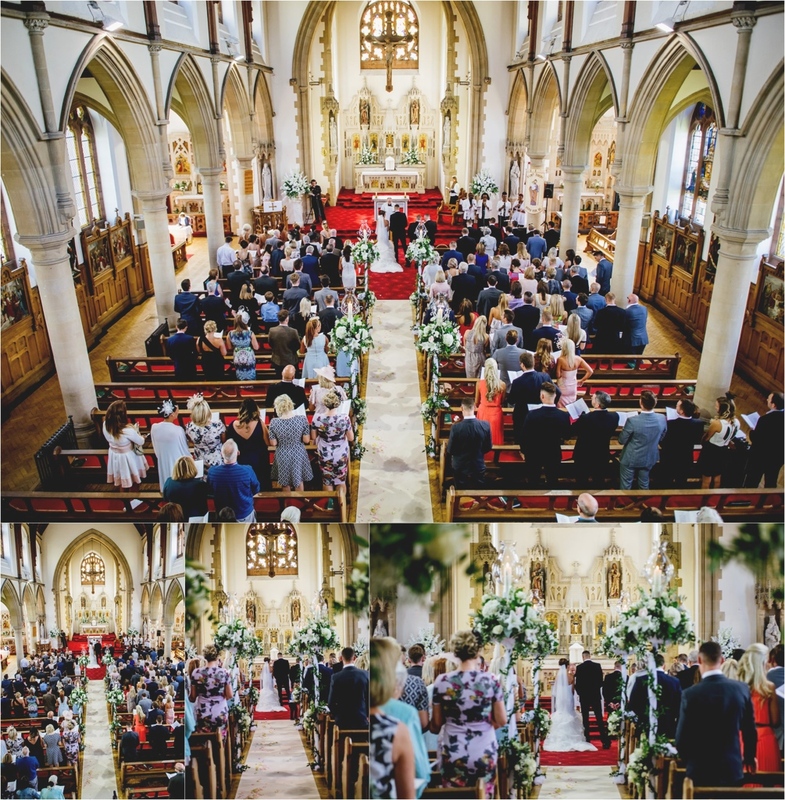 The church was beautifully dec’d out by the brilliant Margaret Mason Florist and as we arrived at our reception venue Stanley House Hotel & Spa the details really went to the next level! 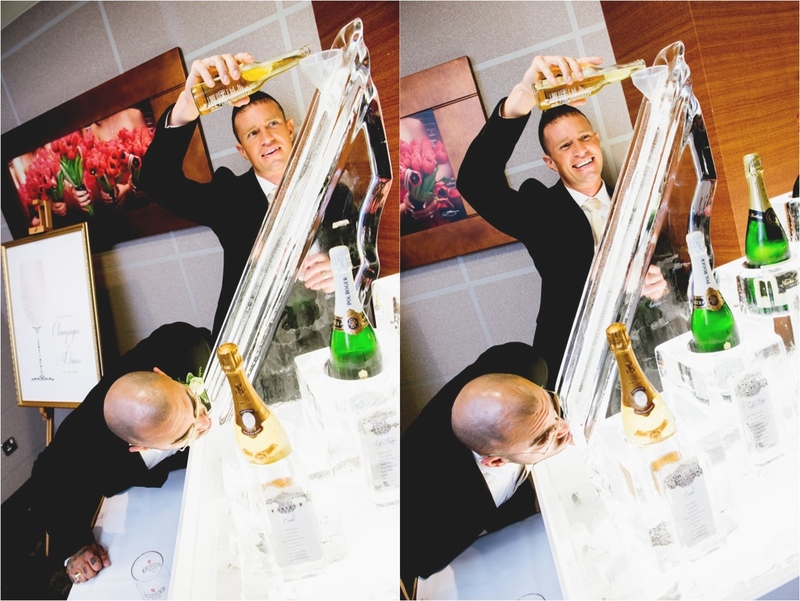 My great mates from Six15 Events Ltd kitted out the venue in their usual epic style and the most EPIC of seating plans I have EVER seen incorporated an ice sculpture – champagne flume! 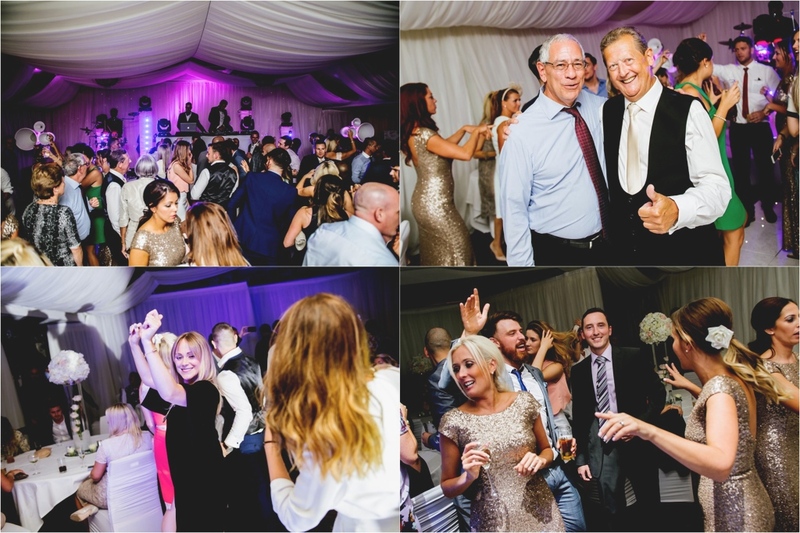 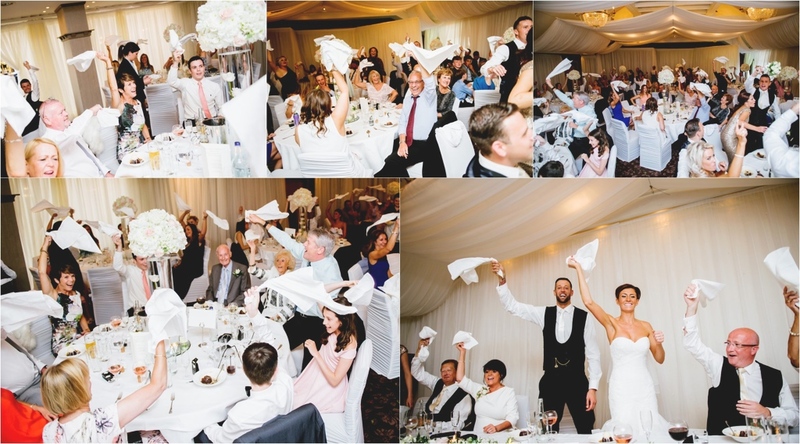 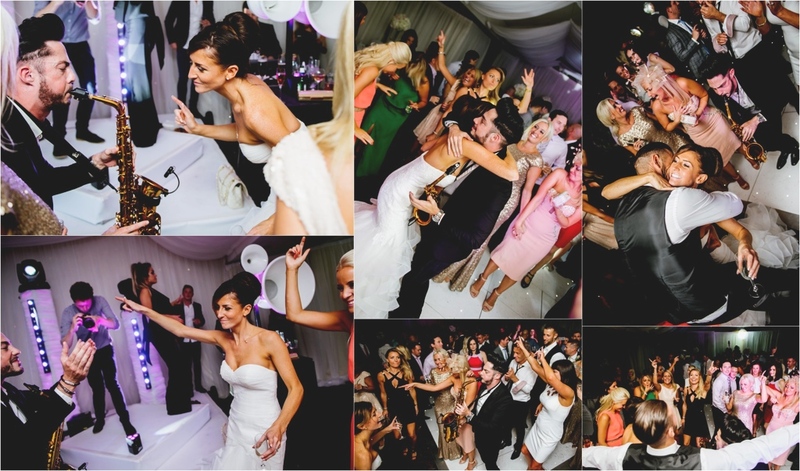 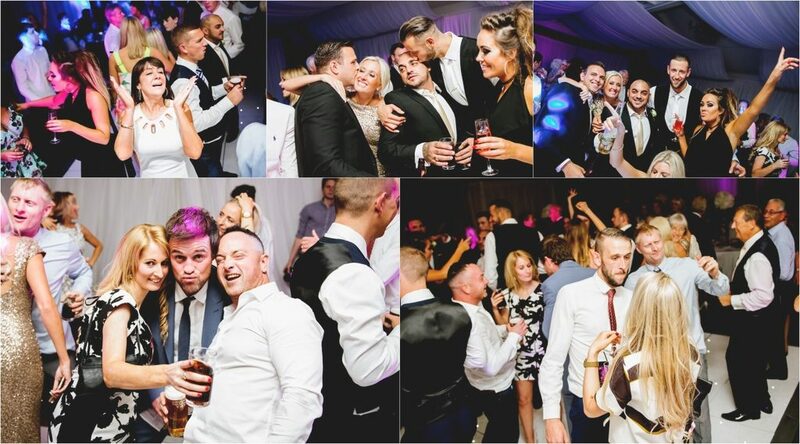 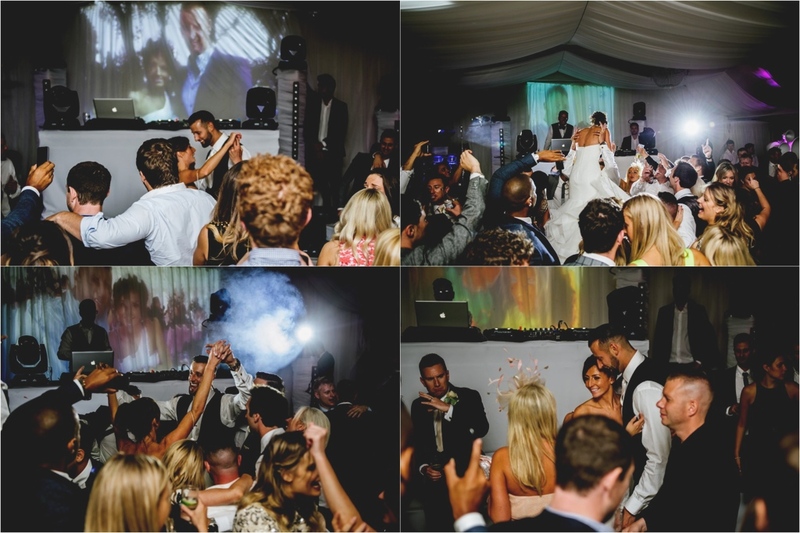 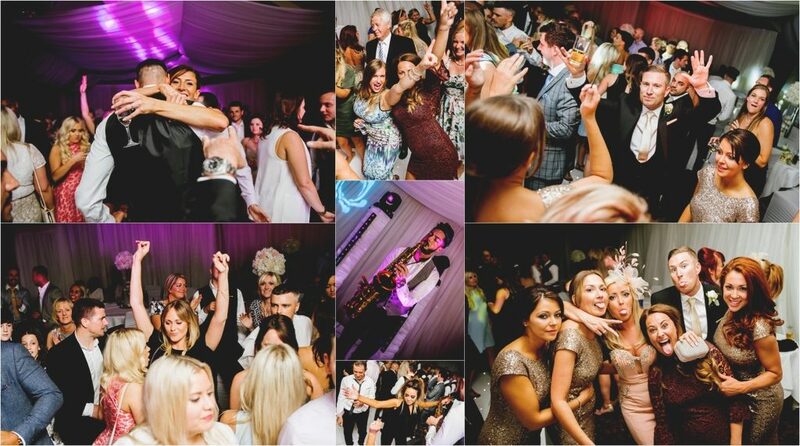 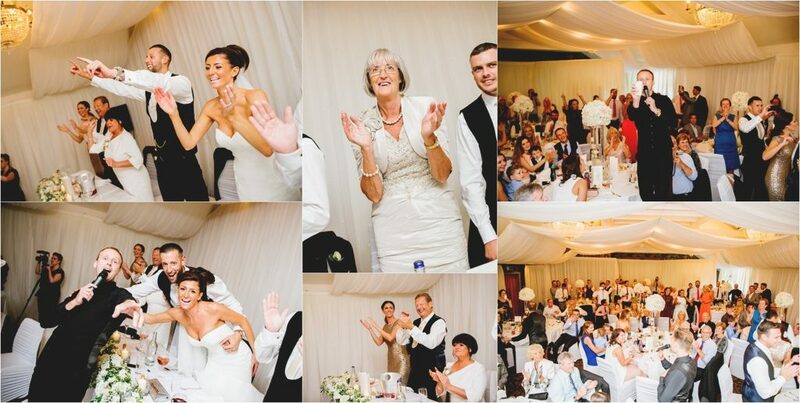 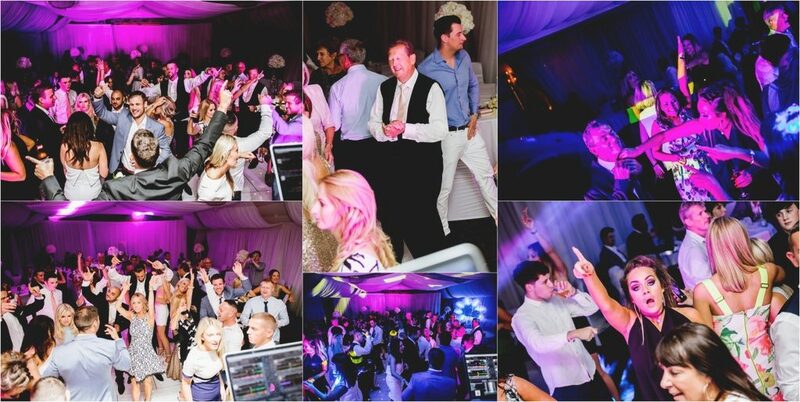 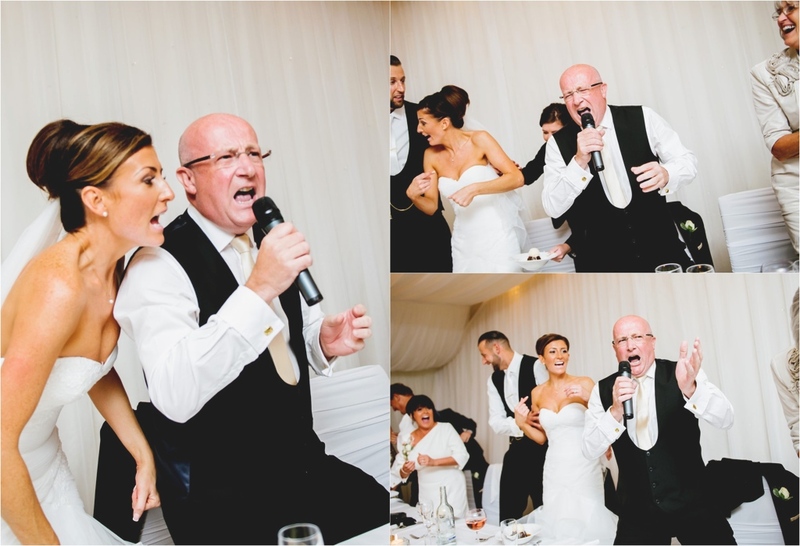 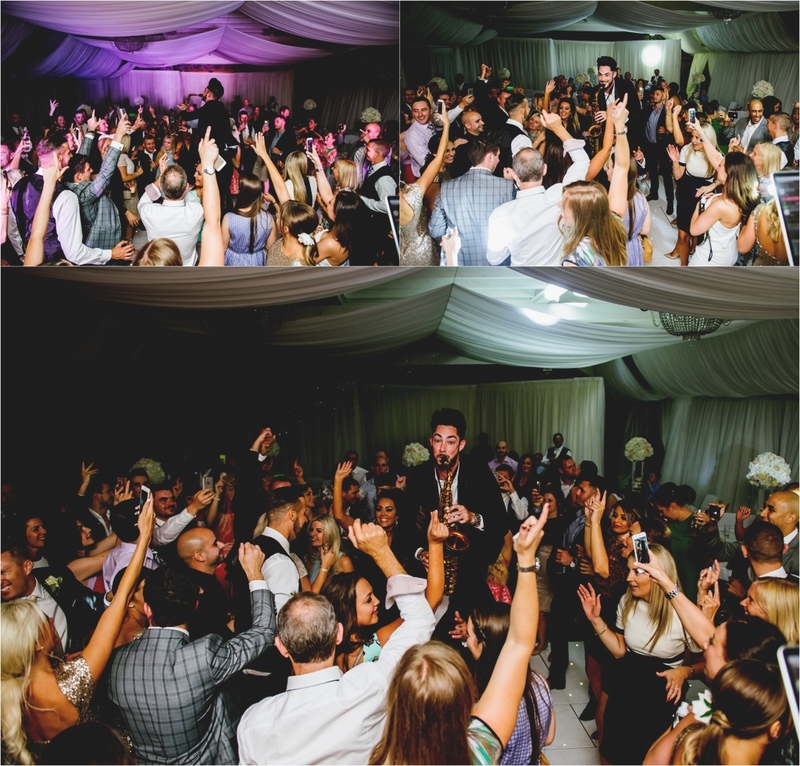 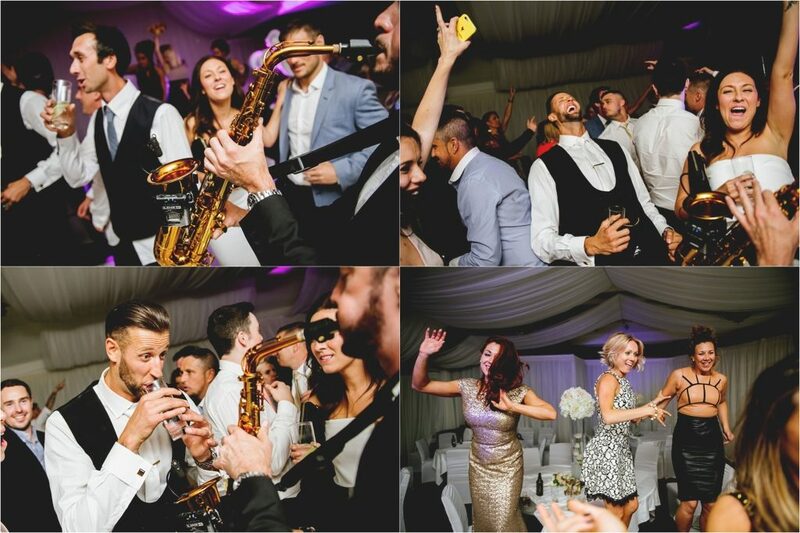 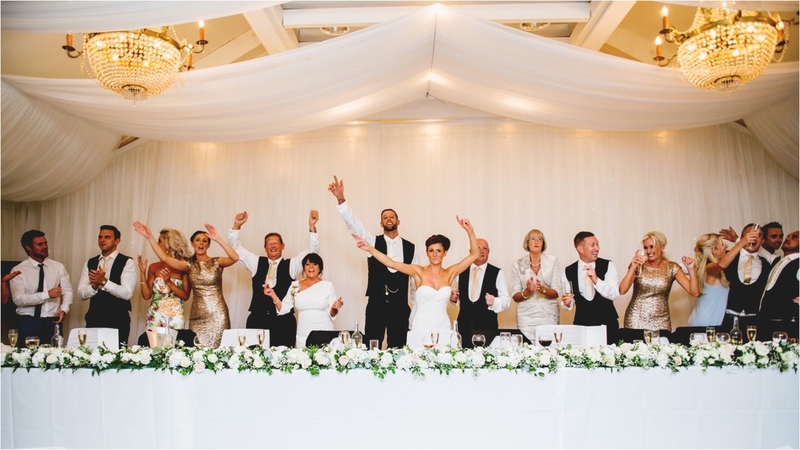 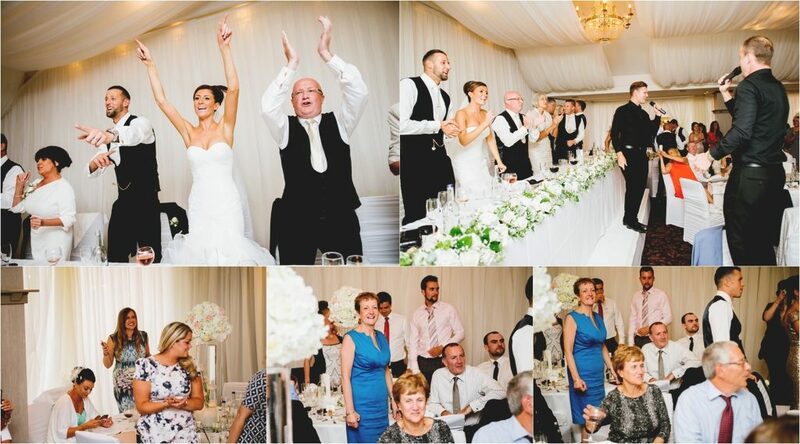 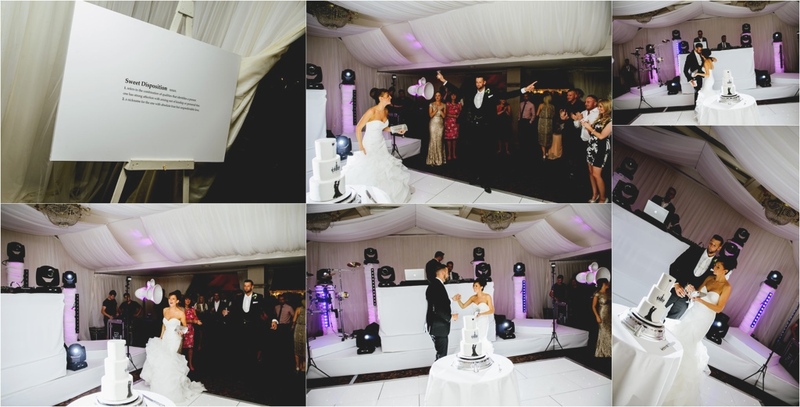 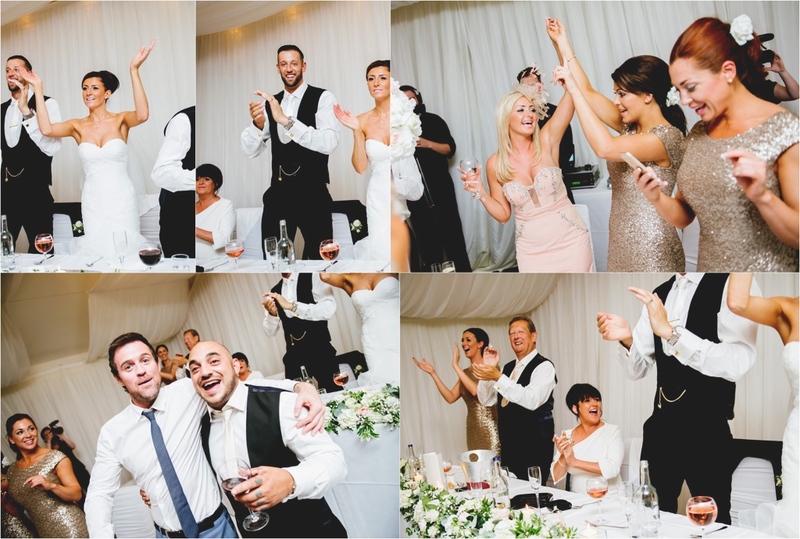 With singer Jay Dunn setting the mood it was then down to the down right amazing Main Course – Singing Waiters to surprise our guests just before desserts were served and the party really starting going to the next level with dancing & singing on tables & chairs!! 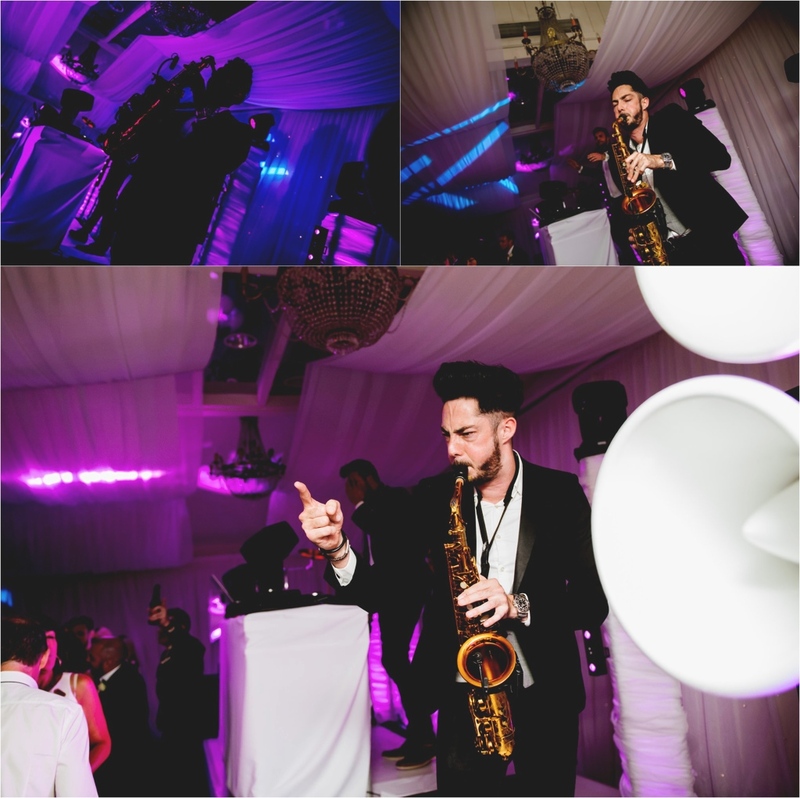 Finally the evening was simply immense with Six15 Events pulling out all the stops with mega performances from DaxOnSax, Kami C Percussion, Chris Jaegerossa, DJ Elliott Smith, Chris J Frater & amazing vocalist Lisamarie Bowman.